Parents, teachers and children will delight in lovingly told stories about "our relations, the animals." The stories come to life through magical illustrations by Mohawk artists John Kahionhes Fadden and David Fadden. 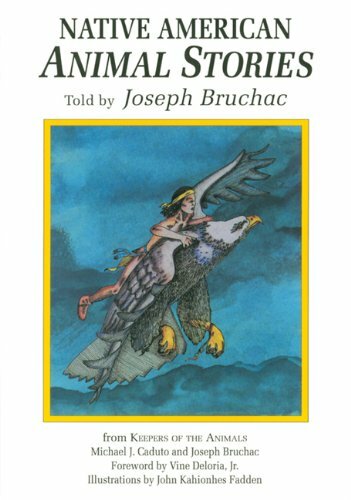 "The stories in this book present some of the basic perspectives that Native North American parents, aunts and uncles use to teach the young. They are phrased in terms that modern youngsters can understand and appreciate ... 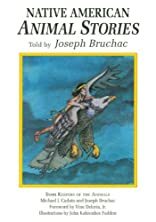 They enable us to understand that while birds and animals appear to be similar in thought processes to humans, that is simply the way we represent them in our stories. But other creatures do have thought processes, emotions, personal relationships...We must carefully ccord these other creatures the respect that they deserve and the right to live without unnecessary harm. Wanton killings of different animals by some hunters and sportsmen are completely outside the traditional way that native people have treated other species, and if these stories can help develop in young people a strong sense of the wonder of other forms of life, this sharing of Native North American knowledge will certainly have been worth the effort." -excerpt from the forward by Vine Deloria, Jr.